Range Anxiety-is the Fear Keeping People from Owning EVs Legitimate? “Range Anxiety”–a driver’s fear of being unable to recharge an electric vehicle’s (EV) battery while out and about – is one of the biggest barriers to EV adoption, industry analysts say. 87 percent of trips made by gasoline vehicles could be handled today by affordable electric cars. Drivers wouldn’t need to recharge during the day in order to handle daily driving. The formula works in sprawling metropolises like Houston as well as densely packed urban environments like New York City. Still, the concern of being stranded on the highway persists and prevents some potential buyers from moving to an EV, despite the fact that EVs are cleaner than conventional gas-powered vehicles. Recently, the federal government announced a plan to relieve much of the range anxiety issue. The White House announced that it is designating 48 U.S. interstates as electric vehicle charging corridors, with EV charging stations approximately every 50 miles. Signs will direct drivers to charging stations, just as drivers of traditional cars currently benefit from highway signs notifying them of gas stations ahead. The new signs cover roughly 25,000 miles of roadway and will eventually be posted in 35 states and the District of Columbia, according to the Obama Administration. BMW, General Electric, General Motors, Nissan, PG&E and other firms are supporting EV charging corridors. The plan may be encouraging some “anxious” buyers. U.S. EV sales surpassed 1 percent of total U.S. car sales — a milestone that may seem small on the surface but, according to industry experts, may well be the tipping point in the adoption of EVs, particularly as their range continues to improve and initiatives such as the Federal Government’s help relieve EV drivers’ anxiety. Looking to the future, industry experts predict wireless electric charging technology will enable EVs to refuel themselves without any human intervention at all. Anxiety ended! 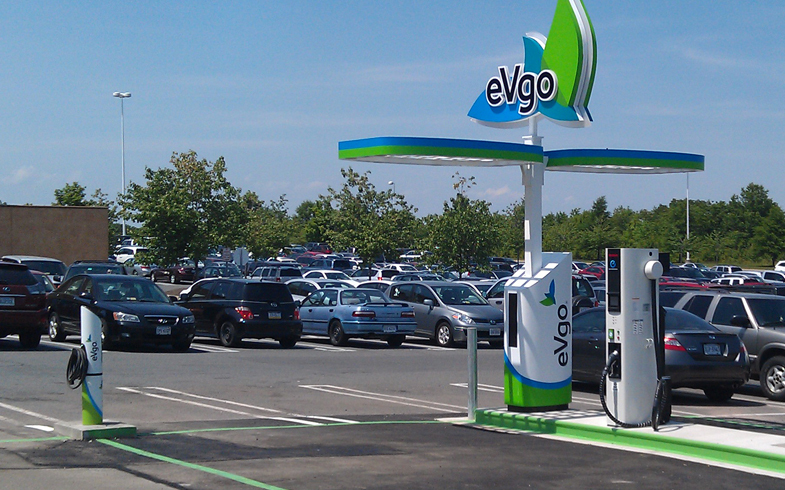 Read more about electric vehicle charging station installation.